In almost every sphere of life and work the people time to time are faced with the fact that on their way there are certain obstacles and problems. But it is not always possible to identify the true cause of particular problem. To understand the basic causes of problems and eliminate them, it is convenient to use the chart of Kaoru Ishikawa - the technique specially designed for this. ConceptDraw DIAGRAM diagramming and vector drawing software extended with Fishbone Diagrams solution from the Management area can help you with construction the Fishbone Diagram also known as Ishikawa Diagram. all affecting the overall problem in one drawing for the further analysis. It is a well effective way to analyze the business problems you must identify and solve. 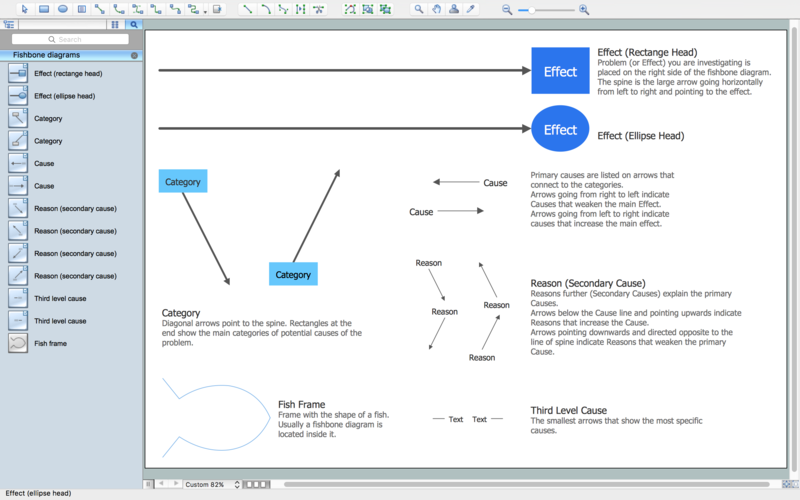 Fishbone Diagrams Solution from ConceptDraw Solution Park contains the Ishikawa Diagram examples, samples and templates which provide quick start to use this graphic method for analysis of problem causes. All they are available from ConceptDraw STORE. 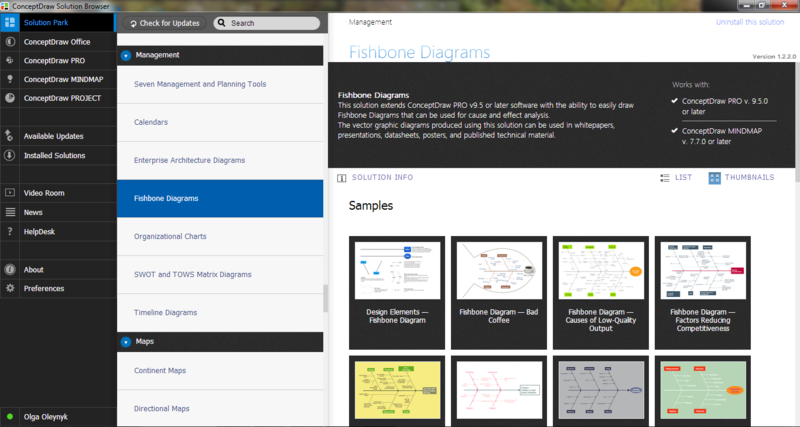 Fishbone Diagrams Solution contains also the Fishbone Diagrams library with variety of predesigned vector symbols. 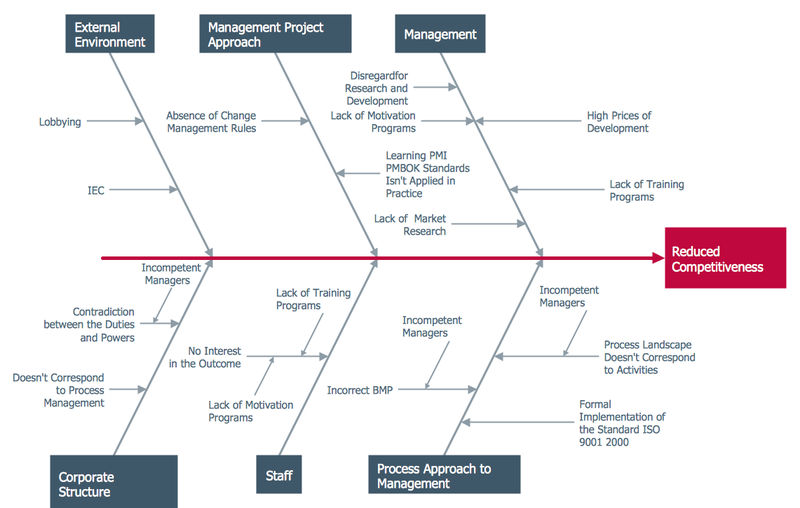 They can help to draw the Ishikawa Diagram of any complexity in minutes. All these design elements are vector objects, you can resize them without loss of quality, change their color to make your Fishbone diagrams more interesting, bright and attractive. 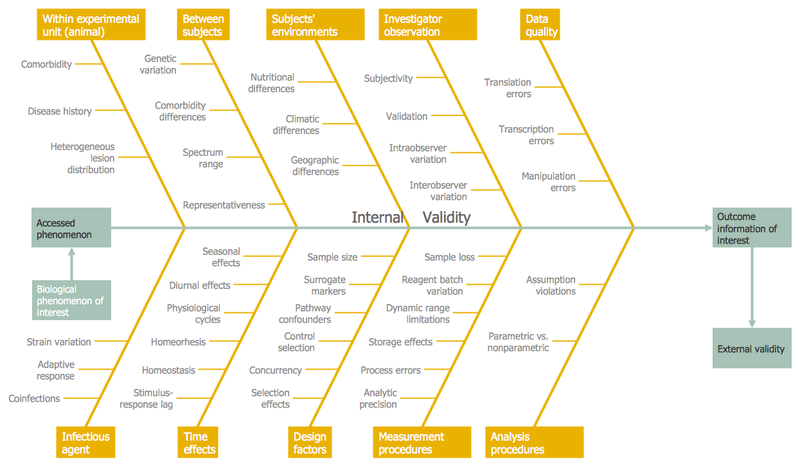 The Ishikawa Diagram samples you see on this page were created in ConceptDraw DIAGRAM using the Fishbone Diagrams Solution for ConceptDraw DIAGRAM Solution Park. An experienced user spent 20 minutes creating every of these samples. Use ConceptDraw DIAGRAM enhanced with Fishbone Diagrams solution to draw your own Ishikawa Diagram for cause and effect analysis.